Land Rover Hinsdale proudly announces their new Select Certified Pre-Owned program, featuring pre-owned vehicles backed by a 150-Point inspection, a 6-Year/100,000-mile Limited Warranty*, and 24/7 Roadside Assistance. The Land Rover Hinsdale family is proud to introduce the Select Certified Pre-Owned program. The particular vehicles selected for this program must pass a rigorous 150-point inspection to qualify, so our customers can be assured they are getting the best. Shoppers in the market for a new vehicle often encounter the term, “certified pre-owned” or CPO, for short. But what does that mean? How is this different from a “used” vehicle -- and what kind of value comes along with purchasing a certified pre-owned vehicle? Land Rover Hinsdale is here with the answers. Their new Select Certified Pre-Owned program features pre-owned vehicles backed by a 150-Point inspection. Additionally, these vehicles come with a 6-Year/100,000-mile Limited Warranty* and 24/7 Roadside Assistance. Land Rover Hinsdale takes pride in offering this new program and invites the public to view their Select Certified Pre-Owned Vehicles in stock online, or in person at 300 East Ogden Avenue Hinsdale, IL 60521. The Land Rover Hinsdale Select Certified Pre-Owned vehicles are the perfect answer for customers who love the Land Rover brand and also want peace of mind on a quality pre-driven vehicle. With a great variety to fit every budget, each Select Certified Pre-Owned Land Rover is uniquely different, and fairly priced. 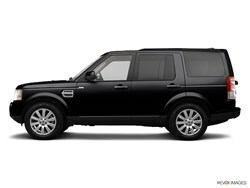 “The Land Rover Hinsdale family is proud to introduce the Select Certified Pre-Owned program. The particular vehicles selected for this program must pass a rigorous 150-point inspection to qualify, so our customers can be assured they are getting only the very best from us,” said Greg Joutras, General Manager at Land Rover Hinsdale. The Land Rover has always been acknowledged as an extraordinary, authentic 4x4 that represents luxury, strength and reliability. Now, the all-new Land Rover Select Certified Pre-Owned program gives consumers a better opportunity to become a Land Rover owner. All questions about the Land Rover Select Certified Pre-Owned program can be directed to the Land Rover Hinsdale sales staff who are committed to providing an automotive buying experience that is second to none.